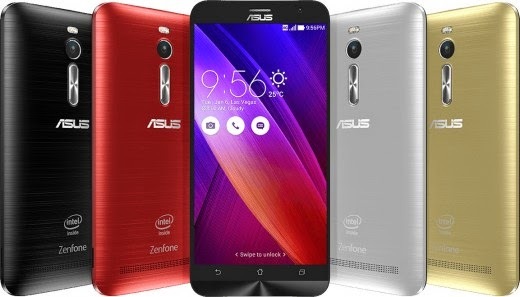 ASUS Zenfone 2 is making waves now in the Philippine market. Its the latest smartphone that features 5.5 inch, high resolution 1920×1080 Full HD IPS display and Corning Gorilla Glass 3. The Zenfone 2 is powered by 64-bit up to 2.3GHz Super Quad Core Intel Atom Z3580 processor and runs on the latest Android 5.0 Lollipop. It’s also Dual SIM Dual Active, which two sim cards can be used at the same time. The mobile phone comes with 16GB, 32GB and 64GB internal memory. For those who love taking photos, the newest phone of ASUS has 13MP main and 5MP front cameras. It has also a 3000mAh battery that can charge to 60% in a mere 39 minutes. Available colors include red, black, silver and gold. The prices are ranging from Php 7,995 all the way to Php 14,995 depends on its models.